They call me...... EYEBALLS! But YOU can call me Eyeballs. 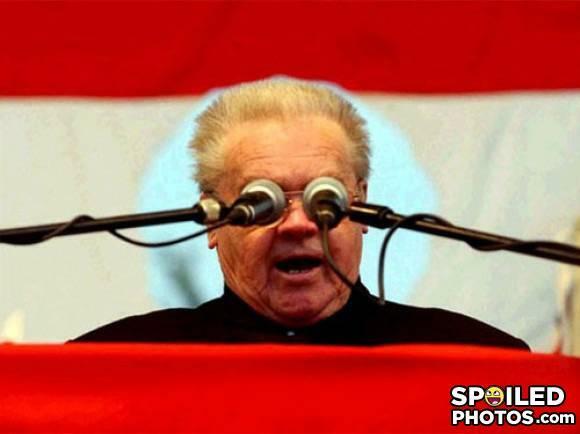 "The precuresor to google glass is not very promising," thought the test user. We knew pastor Ed was going senile when he said I can SEEEEE the word of the Lord!!!!! BZH BZH LOOK! I am robot! If only you could hear what I'm seeing. Who? Who has turned off the light? ZE GOGGLES! ZEY DO NOSSING! There's three sisters: a blonde, a brunette and a redhead. They know she's not they're real mom.